Picklist values may be shared between fields in different apps. Sharing values across different fields enables values to be changed in one field, and have those changes inherited by the other fields that share the same values. This helps maintain data consistency and integrity. To share values between custom fields, when the field is created select the values of another existing field from a different app. 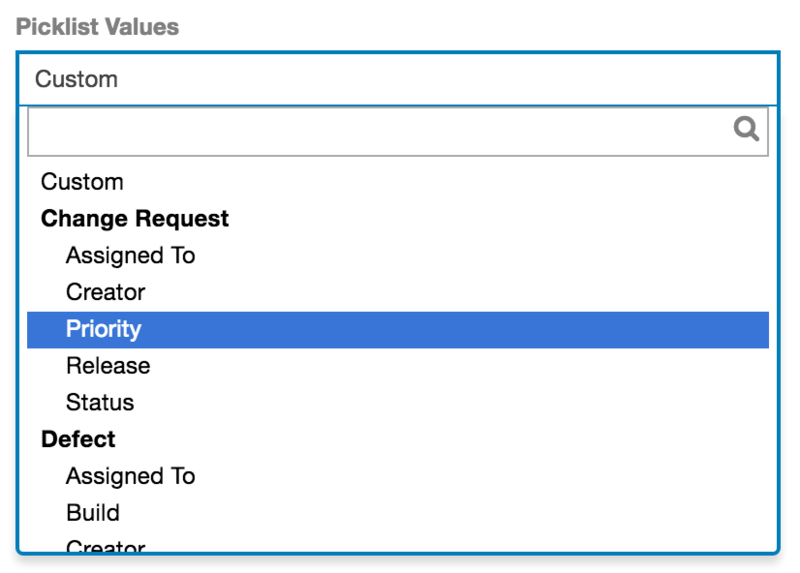 For example, if you are creating a Priority field in Tasks, to share the values of the Change Priority field, simply select Change/Priority when creating the new Tasks field.